Approx. 30.5"L down center back. 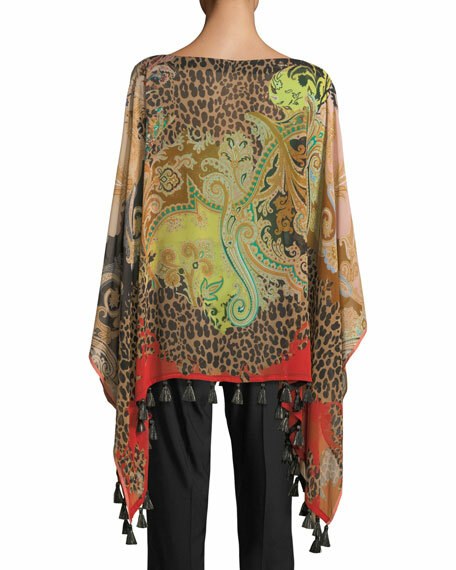 For in-store inquiries, use sku #2419411. 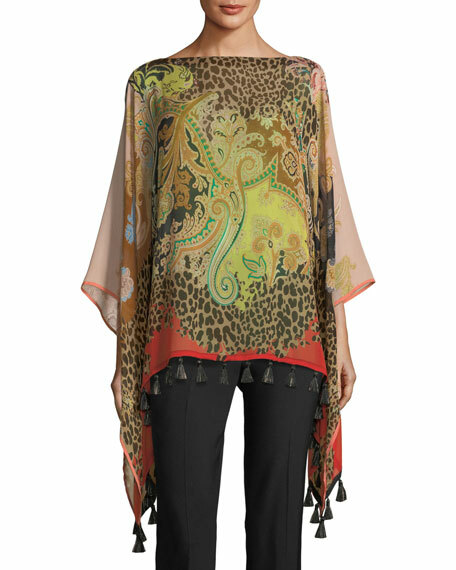 Etro poncho in fern paisley print silk twill, reversible to tiger print. Crew neckline; open front. 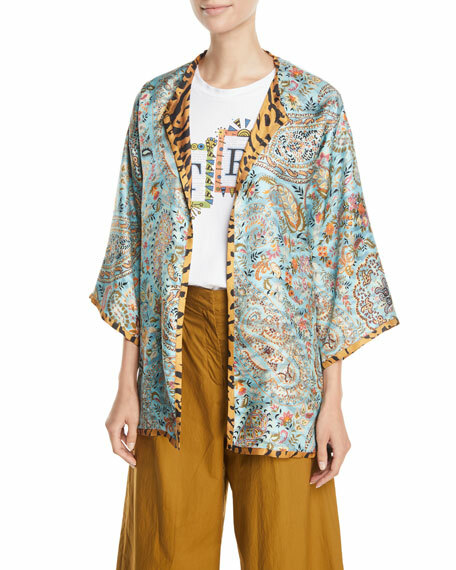 Three-quarter kimono sleeves. Draped fit. Hem hits below hips. Silk. Made in Italy.